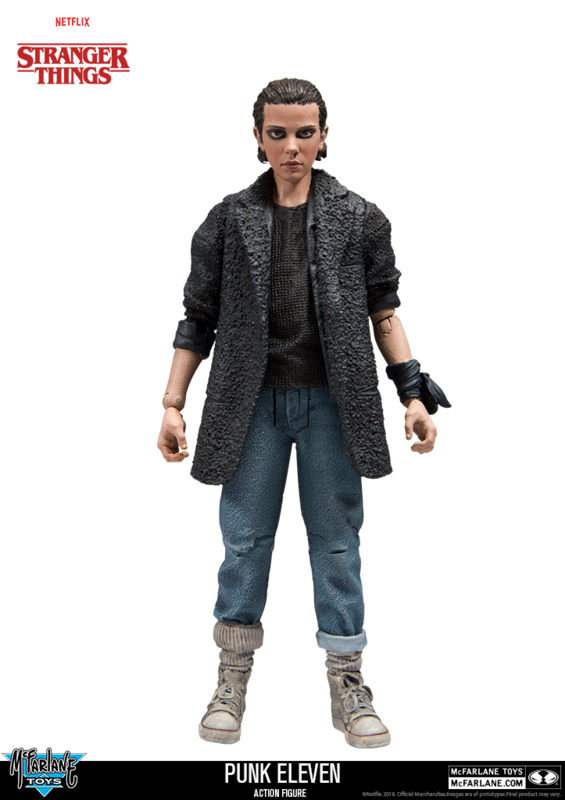 From the Netflix TV series Stranger Things comes this 7-inch scale Eleven in Punk clothes from season 2 action figure! Abducted from her mother at a young age and raised in a laboratory, "Eleven" has psychokinetic powers that prove to be an immense help in the search for Will Byers, as well as battling the scientists that are stopping at nothing to retrieve her, and place her back in the lab. 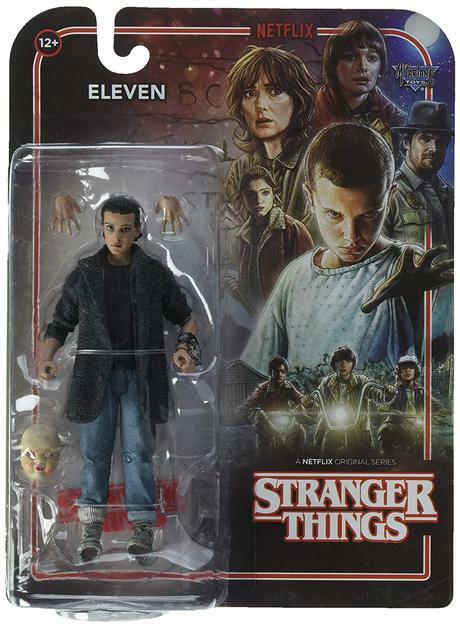 Eleven stands about 5-inches tall, is sculpted from images of actress Millie Bobby Brown.